What is an ideal family entertainment venue? Why the circus of course. 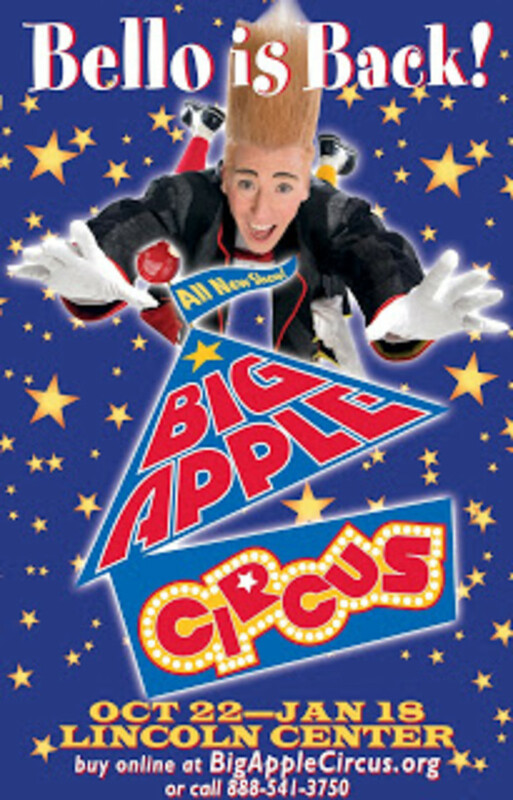 This summer we got acquainted with the NYC&apos;s Big Apple Circus. Everything is intimate. No seat is further than 50 feet away and there is only one act going on at a time (ideal for reigning in the ADD entertainment trend). You&apos;ll see juggling, acrobatics and plenty of clowning around. This fall the troupe will be in NYC from October 22 until January 18th--perfect for keeping busy over the holiday breaks from school. For a chance to win a family 4-pack of seats*, leave a comment on this post mentioning one thing you love about the circus. *Voucher that the winner will receive will have some specific dates to choose from for their prize package. Be sure to add your contact email. Contest open to US residents ages 18 and over. Contest ends 10/31/09. Winner will be selected by random.org. Winners will be announced on a blog post. If winner fails to respond in three days a new winner will be chosen. Big Apple Circus did not pay for this post. Momtrends does not accept advertorial or paid reviews.